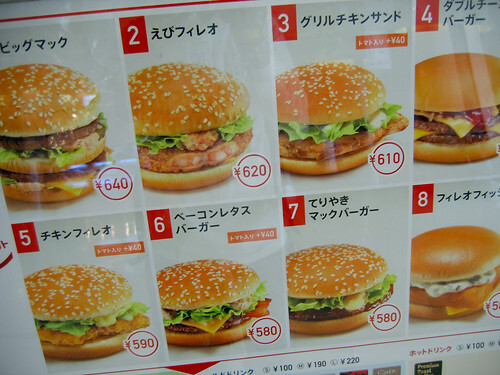 This is the hamburger menu you’re looking for. Photo by jpellgen on Flickr. Hey! You can now sign up to receive each day’s The Overspill’s Start Up post by email. A selection of 8 links for you. May contain nuts. I’m charlesarthur on Twitter. Observations and links welcome. Using its thorough analytics, YouTube was first to understand that viewers should be given the opportunity to skip videos ads. This markedly increased the value of actually viewed clips. But the damage is done. With ad blockers, the tragedy is that one bad apple contaminates the whole crate. Once installed, the adblocker will indiscriminately eliminate ads from all sites. The few that were willing to preserve a decent user experience were washed away. Between April and June 2015, SecretMedia, teaming up with with JW Player, reviewed the data from one billion devices in 42 countries. Here, precautions are warranted: SecretMedia, based in New York, sells an anti-adblocking solution for video; its clients are mainly broadcasters. But even though SecretMedia has a vested interest in darkening the picture, its conclusions are consistent with other surveys in the US and Europe. The point about the bad apple contaminating the crate is key. Oh well, iOS 9 comes out today – and tons of people will begin deploying adblockers. Let’s watch. Then, this summer, Mozilla quietly launched Suggested Tiles, the organization’s first commercial ad product. Well, it will be ads. At the moment, Mozilla claims it’s not getting paid for them. Not sure that’s going to be popular. Most apps live out of ads. Most apps are Free. What was not said today is whether TV apps will be able to monetize with ads the same way iphone apps are monetized with ads. This is a big deal not just for monetization but also for discovery. Ads are one of the key channels for discovery and if no native ads are allowed in TV apps then the only way to get discovered is via the TV app store: meaning you have zero chance unless featured by Apple. I doubt Apple will completely ignore that question: Ads on TV can be a huge opportunity (including for iAds). They may not be ready for it just yet. But what that means for app developers: get ready to suffer to get your free TV app (or paid app) discovered and monetized. Toshiba Corp swung to a first-quarter loss on weak PC and TV sales, raising pressure on its new chief executive to speed up a business revamp in addition to improving governance after a $1.3bn accounting scandal. The laptops-to-nuclear power conglomerate reported an April-June operating loss of 10.96bn yen ($91m) on Monday compared with a ¥47.7bn profit a year earlier. Specifically looking at the PC business – which is the one under stress – the Toshiba financials say “The Lifestyle Products & Services segment saw significantly lower sales, reflecting significantly lower sales in the Visual Products business, which includes LCD TVs, and the PC business, due to a shift in focus to redefined sales territories and other factors. Specifically, the PC business shrank from a quarterly ¥169.4bn ($1.4bn) a year ago to ¥116.8bn ($970m) in the April-June period. And to a loss. How long can Toshiba’s PC business carry on? …Three features have been introduced in iOS 9 that address that issue [of data going to non-managed devices]. The first allows enterprise IT to decide which applications are “managed,” meaning the data within them is owned by IT. Prior to iOS 9, if a user installed a business app from the App Store, then the app was “unmanaged” and could not interact with enterprise data. The user would have to reinstall the app over again through their corporate app storefront to make it managed. Now, enterprise IT can easily flag which apps are managed and reduce the user intervention required. 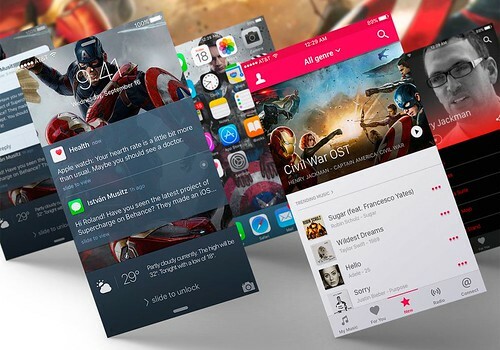 Second, iOS 9 provides enhanced controls over AirDrop. Prior to iOS 9, the only way to prevent corporate data from being shared with an unauthorized device was to turn off AirDrop completely. Now, enterprises can configure iOS 9 such that managed applications can’t have their data shared out via AirDrop. Third, Apple decided that “simple passcodes,” will now require a minimum of six characters when a device with TouchID is enabled. MobileIron is now up against BlackBerry/Good Technology in aiming to manage enterprise iOS devices. Using eye tracking software, we ran 25 people through a series of tasks to gather viewing data. We used Google Inbox as the test site, but created two different versions that were presented at random. Version 1 was Inbox exactly as it is currently designed today with a hamburger menu, and Version 2 was another version we created with a horizontal menu of the same main menu choices hidden in the hamburger. Take Intel’s coming line of Skylake chips, which CEO Brian Krzanich has said will enable thinner, lighter notebook PCs with better battery life. All of this will be possible because the chips will be more efficient, with some Skylake chips drawing less than 4½ watts, says IT analyst Patrick Moorhead. “That power envelope is the first time you can do a fanless device, and fanless means thin,” says Mr. Moorhead. In other words, those svelte, MacBook Air-like “ultrabooks” Intel has been touting have the potential to turn into ultra tablets with detachable keyboards. These devices won’t just be running Windows, of course, because manufacturers also have plans to sell them with Google’s Chrome operating system and even a version of the Android OS modified to function like a full desktop operating system. What’s just over the horizon is a weird moment in computing history, when every major desktop and mobile OS, with the notable exception of Mac OS, will be competing on devices with the same ultra tablet form factor. With Windows 10, Microsoft has already blurred the lines between a mobile and a desktop OS, and now Google, Apple and others are following suit. Arguably it should be “why 2-in-1s are the future of computing”, but it would make the headline unwieldy. Does this mean the Ubuntu Edge idea of a mobile phone you plug into a keyboard/display becomes feasible soon? 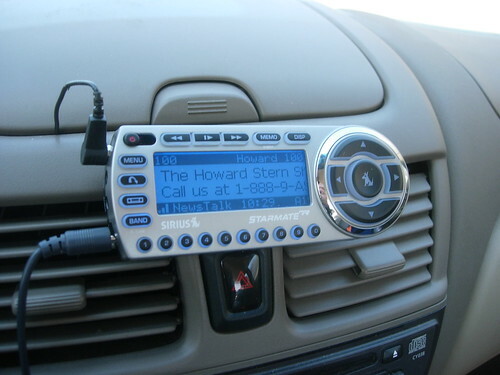 It seems an idea that comes and goes – some times it’s good (Handspring had a good version in the early 2000s), some times it’s bad (Motorola Atrix). As the year-end holidays approach, the [upstream supply chain] sources are concerned that the retailers may reduce their notebook prices further in order to quickly clear up their inventory, but such a move is expected to greatly impact notebook brand vendors’ profitability and affect overall notebook sales in the second half. The sources pointed out that brand vendors such as Lenovo and Hewlett-Packard (HP) have been encouraging their retail partners to stock up since May by offering them high commissions. However, weak demand and Windows 10’s failure to kickstart a PC replacement trend have caused the retailers to suffer from high inventory pileup despite their aggressive promotions. Acer and Asustek Computer, neither of whom has used the high-commission strategy, are still expected to be affected as the retailers are selling competitors’ notebooks at a much lower price range, forcing the two firms to follow suit or risk losing market shares. Currently, Acer and Asustek take up about 30-40% of Europe’s notebook sales. Asia Pacific is also seeing weakening notebook demand amid a slowing China economy. The PC market in the US is the only one seeing meaningful growth, but only US-based vendors HP, Dell and Apple will benefit. I’d guess the “sources” in this story aren’t too far from Asus and Acer. 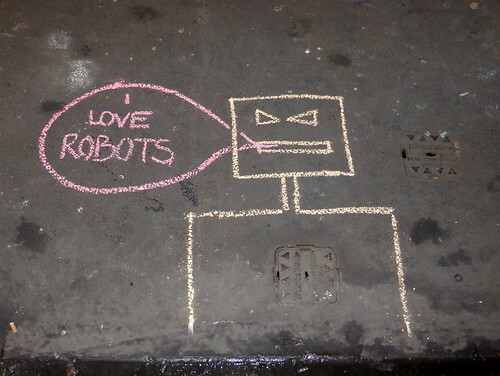 I love robots, by Duncan on Flickr. This morning, for the first time in months, The Pirate Bay disappeared offline. A number of concerned users emailed TF for information but at that point technical issues seemed the most likely culprit. However, over in Sweden authorities have just confirmed that local police carried out a raid in Stockholm this morning as part of an operation to protect intellectual property. “There has been a crackdown on a server room in Greater Stockholm. This is in connection with violations of copyright law,” read a statement from Paul Pintér, police national coordinator for IP enforcement. So what does this mean? The stolen Sony certificates (which were also leaked by the attackers) can be used to sign other malicious samples. In turn, these can be further used in other attacks. Because the Sony digital certificates are trusted by security solutions, this makes attacks more effective. We’ve seen attackers leverage trusted certificates in the past, as a means of bypassing whitelisting software and default-deny policies. We’ve already reported the digital certificate to COMODO and Digicert and we hope it will be blacklisted soon. Kaspersky products will still detect the malware samples even if signed by digital certificates. Methods like “FINGERPRINT_ACQUIRED_TOO_FAST” and “FINGERPRINT_ACQUIRED_TOO_SLOW” in the fingerprint API suggest it supported a “swipe” style fingerprint reader, which, unlike Apple’s stationary fingerprint reader, requires the finger to be moved across a sensor at the right speed. Another file said the system would show a picture indicating which part of the finger would need to be scanned next, which again points to it being more like a swipe reader and less like a whole-fingerprint scanner. The fingerprint API would be open to multiple apps, with a comment saying Google had built “A service to manage multiple clients that want to access the fingerprint HAL API.” Presumably this would allow apps like Google Wallet to use your fingerprint as authentication. Motorola had a fingerprint scanner in the Atrix in 2011. Sucked. In other words, tablets are the new laptops/desktops. [Research company IDC] mentioned a decline in smartphone supply as the main culprit of the negative growth of the domestic market. The smartphone segment used to account for 80% of the overall smart device market, but the domestic supply is forecast to drop by 20.5% to 17.54m units and the sales by 29.2% to 12.345trn won (US$11.1bn) this year. “The smartphone market has already reached a saturation point, and the market downturn has been accelerated by the recent suspension of the business of mobile carriers, the Terminal Distribution Structure Improvement Act and the crisis of Pantech,” IDC Korea explained. Non-tablet PC demand is on the decline as well, with more and more people using their smartphones and tablet PCs instead of conventional PCs. That’s a steep drop in Samsung’s and LG’s homeland. Those numbers feel high. Would love to know how they break down between smartphone platform; Google doesn’t specify that, and doesn’t show what the actual questions on the survey are. Given that about half of smartphone owners in the US have iPhones, could it be that a significant portion of those people who use voice commands (because that’s what the survey asks about – not voice search) were actually asking Siri to do stuff? Note though how Google cleverly elides from “voice search” (what it offers in the Google app) to voice commands – which don’t necessarily involve Google at all. Despite difficulties to achieve further shipment growths for its tablet business, Lenovo with its advantage as the largest notebook brand vendor worldwide and aggressive promotions of its inexpensive and phone-enabled tablets is expected to achieve 50m in total tablet and notebook shipments in 2015, widening its gap with Samsung to 9m units. …Samsung’s aggressive expansion of its tablet product line in the first half of 2014 did not receive a good response from the market. Since the company is expected to turn conservative about its tablet business and place most of the resources on the smartphone business in 2015, Digitimes Research expects the Korea-based vendor’s tablet shipments to drop to 36m units in the year. As for the notebook business, after phasing out from the market in the second half of 2013, Samsung’s shipment volume has dropped rapidly and is only expected to reach 5m units in 2015. Samsung’s essential weakness compared to Lenovo is its failure to make any profit from selling PCs. Last Sunday, we challenged our region to have the serious discussion on race that it has been avoiding for decades. Such difficult discussions are made more challenging when, just to present a thoughtful point of view, you have to endure vile and racist comments, shouting and personal attacks. If you’ve watched many of the talking heads on cable television try to discuss the killings of Michael Brown and Eric Garner, you know what we’re talking about. Unfortunately, sometimes comments on newspaper stories and columns have a similar effect. That’s what University of Wisconsin-Madison researchers Dominique Brossard and Dietram Scheufele dubbed the negative effect certain comments can have on a reader’s understanding. Comments on general news sites are a waste of the readers’ (and arguably writers’) time. I wonder how much further this trend will go. U.S. District Judge Yvonne Gonzalez Rogers scolded Marianna Rosen and her attorneys on Monday for not providing more complete information about the iPods Rosen had purchased. That came after Apple lawyers successfully argued that the devices purchased by Rosen were not among those affected by the lawsuit. But the judge also rejected Apple’s argument that the case should be dismissed because it’s too late to name a new plaintiff. She ordered the attorneys suing Apple to identify a new person, by Tuesday, who can serve as a lead plaintiff. Both sides estimate about 8 million people bought iPods that are potentially affected by the lawsuit, which focuses on Apple’s use of restrictive software that prevented iPods from playing music purchased from competitors of Apple’s iTunes store. The plaintiffs say that amounted to unfair competition and that Apple was able to sell iPods at inflated prices because the software froze makers of competing devices out of the market. Apple is carving out entirely new areas of law. There was the antitrust case where it had the minority share (in ebooks), and now a class action (also with antitrust implications) where none of the plaintiffs shows up. Presumably a suitable plaintiff will have to show that they bought music from Real and that it was deleted… but that they then couldn’t reload it or play it on any device, or only on the iPods? Did Apple explicitly promise that they would be able to buy music bought from anywhere on it? (I don’t think so.) The limits of this case aren’t clear. Computers being remotely operated by hackers account for almost one in four views of digital video ads worldwide, according to a study that estimates such fraud will cost advertisers $6.3bn next year. The fake views, which also account for 11% of other display ads, often take place in the middle of the night when the owners of the hijacked computers are asleep. The result is retailers, automakers and other companies paying for web advertisements that are never seen by humans, or are seen by fewer people than they are paying for, according to the report released today by the Association of National Advertisers, whose members include Wal-Mart Stores, Ford Motor Co. and Wendy’s. Between this and Google’s announcement that half of all online ads aren’t actually viewed, a lot of the basis for the online advertising business begins to look a bit shaky. A new study from the China National Environmental Monitoring Center examines the results of nearly 5,000 soil samples from vegetable plots across China. Roughly a quarter of the sampled areas were polluted. The most common problem is high soil concentrations of heavy metals—such as cadmium, lead, and zinc—which leach out from open mines and industrial sites and into surrounding farmland. Plants grown in tainted soil can absorb heavy metals. People who ingest high levels of heavy metals over an extended time can develop organ damage and weakened bones, among other medical conditions. What the Google self-driving car “sees”. Photo by Matt Chan on Flickr. A selection of 10 links for you. Don’t worry, be happy. one of Google’s most strategic acquisitions has mysteriously been actively blocked from public view. 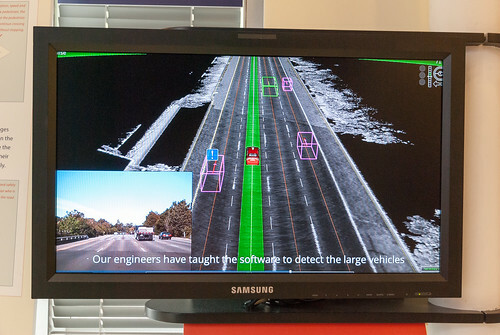 An investigation by IEEE Spectrum has uncovered the surprising fact that Google’s innovative self-driving car and the revolutionary Street View camera technology that preceded it were largely built by 510 Systems, a tiny start-up in Berkeley, California. If you’ve never heard of 510 Systems, that’s exactly the way Google wants it. The purchase of 510 Systems and its sister company, Anthony’s Robots, in the fall of 2011 was never publicly announced. In fact, Google went so far as to insist that some 510 employees sign agreements not to discuss that the acquisition had even occurred. Google’s official history of its self-driving car project does not mention the firm at all. It emphasizes the leadership of Sebastian Thrun, the German computer scientist whose Stanford team won the autonomous-driving Grand Challenge in 2005, sponsored by the Defense Advanced Research Projects Agency (DARPA). Why has Google worked so hard to keep this one acquisition a secret? Harris has been doing fantastic digging into the truth about this Google project. What do you do when you’ve been outed as a fraud and your Kickstarter was pulled? You go to Indiegogo, of course. Anonabox was a $45 device that promised to route your home’s internet connection through (privacy-focused network) Tor without any fiddling in the same way that PORTAL works. In the current climate, it was no surprise to see the project earn $600,000 in pledges in just the first few days. Slowly, however, people began to ask questions about creator August Germar after the hardware was found to be an off-the-shelf unit made by a Chinese OEM and the software turned out to be about as secure as a slice of Emmental. Some serious questions to be asked about Indiegogo here. Smart Vision Labs, a start-up in New York City, wants to make it easier to diagnose vision problems in developing countries with an iPhone camera add-on. The World Health Organization estimates that 246 million people have poor vision. Of these, about 90% live in low-income areas without good access to healthcare or expensive diagnostic machines. Android phones would be a lot cheaper to do it with. There also have been missteps at Samsung. The mobile division, under Mr. Shin, didn’t seriously question bullish projections for orders of its flagship smartphone, the Galaxy S5, which went on sale globally in April, according to a person familiar with the matter. Samsung produced about 20% more devices than it did of the Galaxy S5’s predecessor, basing the numbers on a survey of its carrier partners around the world, who were asked to predict demand but who weren’t on the hook for any unsold devices, according to the person. That led to merchandise piling up in warehouses, forcing Samsung to increase marketing expenditures to unload the devices. In all, Samsung sold about 40% fewer Galaxy S5 smartphones than expected, with about 12m units sold to consumers in the first three months since April compared with about 16m units for the preceding flagship phone, the Galaxy S4, according to people familiar with the matter. Only in one major market did Samsung sell more Galaxy S5 smartphones than it did the S4: the US, Samsung’s biggest market, one of these people said. Making the point that Samsung’s real customers aren’t end-users, but carriers. S5 sales in China were down by about 50% compared to the S4 in its first six months. Like many hyperscale datacenter operators, Amazon started out buying servers from the big tier one server makers, and eventually became the top buyer of machines from Rackable Systems (now part of SGI). But over time, like Google, Facebook, Baidu, and its peers, the company decided to engineer its own systems to tune them precisely for its own workloads and, importantly, to mesh hand-in-glove with its datacenters and their power and cooling systems. The datacenters have evolved over time, and the systems have along with them in lockstep. In the past, Amazon has wanted to hint at the scale of its infrastructure without being terribly specific, and so they came up with this metric. Every day, AWS installs enough server infrastructure to host the entire Amazon e-tailing business from back in 2004, when Amazon the retailer was one-tenth its current size at $7bn in annual revenue. That is another way of saying that in the past year AWS has added enough capacity to support a $2.55 trillion online retailing operation, should one ever be allowed to exist. According to a fresh report from prominent KGI analyst Ming-Chi Kuo obtained by AppleInsider, quarter-over-quarter Apple iPhone shipments will swell 82% in the fourth quarter of 2014. Leading the charge is iPhone 6, predicted to account for just shy of 60 percent of all sales for the quarter, or 41.65m units. Coming in a distant second is the iPhone 6 Plus, which has been the more talked about next-generation variation due in large part to its scarcity at retail outlets. Kuo says the 6 Plus supply shortage is not only an indicator of high demand, but also confirmation that suppliers are having production issues. He believes final fourth quarter sales are largely dependent on supply chain success with 6 Plus yields. Given Apple’s current situation, Kuo foresees a major slip in iPhone sales for the first quarter of 2015, mostly due to poor off-season demand. The analyst pegs shipments at a combined 49.4m units, including 21.6m iPhone 6 handsets and 10.2m iPhone 6 Plus versions. 71.5m units in CQ4 would be a 40% increase, year-on-year (and would probably challenge Samung for shipments). 49.4m in CQ1 would be just a 13% increase. One suspect it might be more evenly split than that. Video calling is growing into a key mainstream activity on smartphones, with high adoption rates in some markets, according to a survey by Gartner, Inc. The survey, which was conducted in June 2014, surveyed more than 6,500 U.S. and German consumers about their technology usage and attitudes in order to gain a better picture of how devices are used for work and leisure. …The survey results showed adoption is markedly skewed toward the younger demographic, with video calling in the 18 to 24 age group reaching 53.5% in the US and 30% in Germany. Video calling uptake is slanted toward early adopters but shows encouraging signs of expansion across all consumer segments. FaceTime, Skype, Hangouts – Apple, Microsoft and Google, pitted against each other once again. Except they use it for slightly different purposes: FaceTime ties users to iOS; Skype makes money and has corporate tie-in; Hangouts.. well, that’s a bit less clear. It’s always felt like a wannabe Skype. I recently had a meeting with top officials in one of the major PC companies and asked them about their position on 2-in-1’s and convertibles. They told me they believe they need to have one or two models of these designs in their overall line up but the majority of what they will create and bring to market will still be clamshell based. They pointed out they are not seeing any real demand for these in IT yet and only slight interest by consumers. One reason the interest in something like Surface Pro is low is because of its price. They are two to three times the price of a cheap laptop. Unless the Surface Pro is targeted at field service or as a replacement for those who use clipboards, I believe IT interest will continue to be soft at least for the 2 in 1 detachable. Lenovo tells me they have actually done well with their Yoga convertibles, especially in enterprise accounts, however it is still a minority when it comes to the total number of clamshell laptops they ship each year. What up humans?! Bradley Voytek here again. Man do we have some crazy #uberdata for you today. Today is Uber: Freakonomics edition. In this post I’ll show how where crimes occur — specifically prostitution, alcohol, theft, and burglary — improves Uber’s demand prediction models. And then over three years later, I’ll delete it! Or someone will, realising that it’s a gigantic stain on our credentials. First “Rides of glory” (about people avoiding the “walk of shame” by getting a cab some hours after being dropped off at a particular destination) and now now this. Uber is clearly trying to pretend that its ability to peer at data relating to specific users can somehow be forgotten. Unfortunately, the Internet Archive begs to differ. Speaking of which, have you donated to its upkeep?